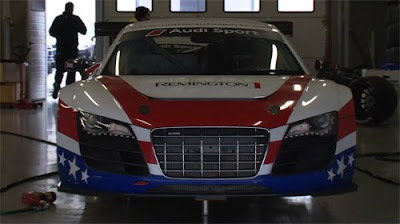 United Autosports has released a highlight video of their Remington-sponsored Audi R8 LMS debut "shakedown" at the Portimao Circuit in Algarve, Portugal. As driver Mike Guash states, "I think we're going to be very competitive. The three drivers that ran today were all very close." We will be rooting for the United Autosports Remington Audi R8 LMS and wish the whole team the best of success this season.